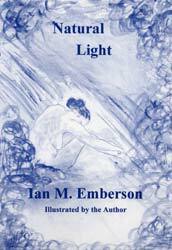 Order direct from the author - ianemberson@aol.com - add 15% for postage and packing. 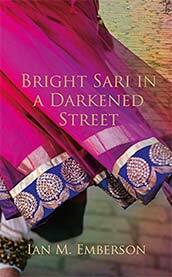 Suddenly a young Hindu girl leapt onto the stage and began dancing - dark, agile, beautiful. Her kurta was purple and covered in little bells, which rang as she leapt; her arms, long and slim, rattled with gold bracelets; her deep brown eyes ﬂashed like a weasel's. She was soft and lamb-like and yet somehow ferocious as well, like a tigress - a springing tigress. Aspiring artist Miles lives with his family in a small village above an industrial town in West Yorkshire. After his ﬁrst encounter with the spirited and enchanting Kavita, the sister of one of his school friends, he is drawn into a relationship that must cross not only physical but cultural divides. Can he and Kavita ﬁnd a Future together - or will the challenges they face result in tragedy? This intensely moving coming-of-age story will resonate with anyone who can remember the intensity and passion of ﬁrst love. Its lyricism and intensity will remain with you long after you have turned the last page. First collection of poems - illustrations on every page. Many song-settings based on this volume. 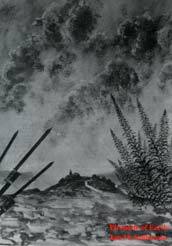 "Descriptive poems kindle a light in landscape we did not previously see, and there are Hardyan lyrics that set the mind questing." Brian Merrikin Hill, Pennine Platform. 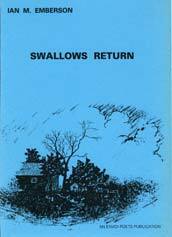 Second collection - currently out of print. Published to coincide with a reading celebrating the centenary of the Brontë Society. 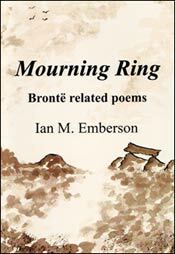 Now out of print, but replaced by an expanded version - "Mourning Ring: Brontë related poems" - see further on. The tale is told well, and with gentle objectivity... William Oxley, Acumen. The swift direct verse is just the thing - closer to the oral telling of a story than prose can ever be. Ted Hughes - letter to the author. Third collection of poems - illustrated throughout. 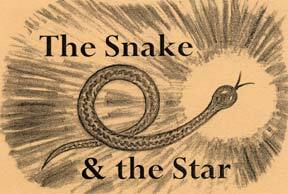 Like The Snake and the Star (see below) this is a collection of prose-poems. The printing was done in collaboration with Bryan Foster. 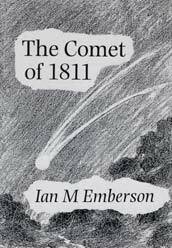 Like The Comet of 1811 this is a collection of prose-poems. The printing was done in collaboration with Bryan Foster. A longish poem broken into sections evoking the changing moods of the shoreline. 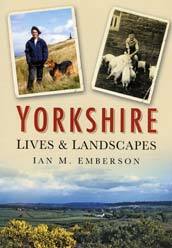 Within a semi-autobiographical framework the book describes many aspects of Yorkshire culture: music, poetry, landscape painting, walking the Pennine Way and local history. Lavishly illustrated in both colour and black and white. 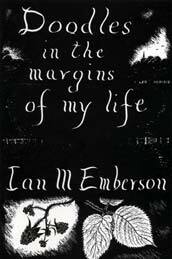 "Ian Emberson has put his brand on it, and his voice speaks to you from every sentence, standing out like a trilby in a flock of cloth caps . 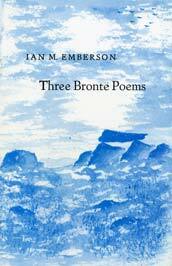 . . "
Collection of poems relating to the Brontës - their lives, writings and the landscapes associated with them. Lavishly illustrated by the author. 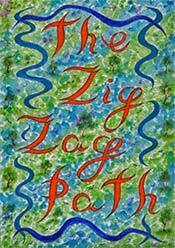 For The Zig Zag Path see separate heading in menu to left. Illustrations by the author on every page. Set on a planet elsewhere in the Universe - semi mythological, but in no way sci-fi. Available free of charge on this website - see separate heading in the menu to the left. Or click here. 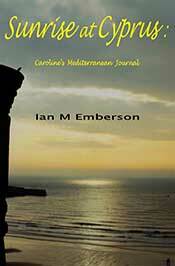 Sunrise at Cyprus: Caroline's Mediterranean Journal. An eBook prose novel written in the form of a young girl's journal. It tells of Caroline Weyland's world of relationships, set against the background of Cyprus in the 1950s - the years of the EOKA terrorist campaign. "The setting is painted vividly, and Caroline's journey to fulfillment told with great directness" - review by "Helen" on Amazon. Available on Amazon Kindle or as an Apple iBook. 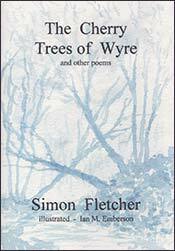 Simon Fletcher: The Cherry Trees of Wyre - shortly to appear as an E book. He has also provided the endpapers for In the Smoke of the Sagebrush - a novel by Magdalena Chávez; and Paul Sutherland's Seven Earth Odes. The cover for Paul James Boyle's CD of guitar music, Little Tunes from Long Ago makes use of his painting Circus. His poems, articles and illustrations have appeared in the following magazines: Aabye, Acumen, Aireings, The Arcadian, The Artist, Brontë Society Gazette, Brontë Society Transactions, Brontë Studies, The Charles Lamb Bulletin, Christian Poetry Review, The Countryman, The Dalesman, Dream Catcher, The Gaskell Society Newsletter, The Interpreter's House, Iota, Island, Konfluence, Links, New Hope International, Pennine Ink, Pennine Platform, Poetry Salzburg Review, Poetry Scotland, The Poet's Voice, Quantum Leap, The Review of the Pre-Raphaelite Society, Todmorden News, Yorkshire Dales Review, The Yorkshire Dalesman and The Yorkshire Journal.